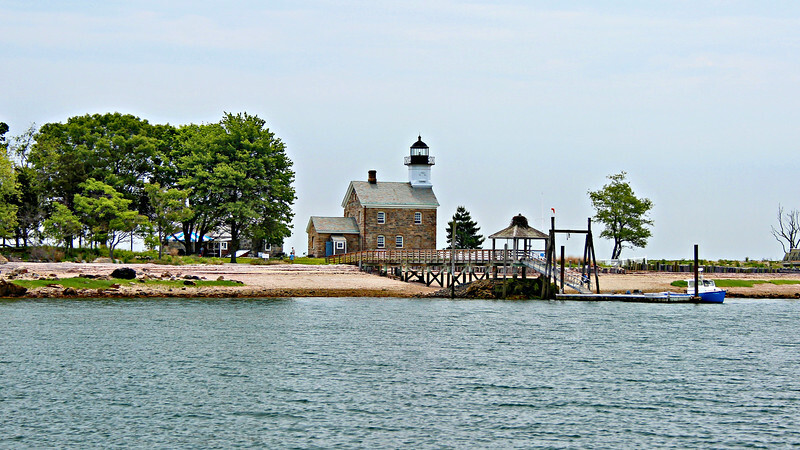 The Sheffield Island Lighthouse is located on one of the sixteen Norwalk Islands lying outside of Norwalk Harbor, Connecticut. The island, then known as White’s Island, was purchased by Captain Robert Sheffield in 1804. In the 1820’s the Treasury Department surveyed the islands to determine the best place to build a lighthouse to serve the harbor. They decided to build on the southwestern point of 53 acre Sheffield Island. The government purchased 3 acres of land on Sheffield Island from Gershom B. Smith in 1826 for the lighthouse station. Smith had married Captain Sheffield’s daughter Temperance and purchased the island from his father-in-law.